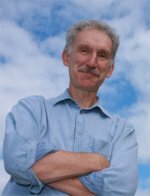 Congratulations to Dr. Philip Rasch, atmospheric scientist and Lab fellow at Pacific Northwest National Laboratory. Rasch was selected to serve as a member of the Eos Editorial Advisory Board representing the American Geophysical Union's (AGU) Global Environmental Change focus group and disciplines it covers. A prominent researcher in the areas of climate modeling, the atmospheric circulation, and atmospheric chemistry, Rasch has more than 30 years' experience tackling issues related to the role of aerosols and clouds and the processes that describe these components with the computational details that are necessary to understand them through computer models. Rasch was named a Highly Cited Researcher by Reuters in 2014 and 2015, as one of the top 1% of scientists in his field. A fellow of AGU and the American Association for the Advancement of Science, Rasch has testified before Congress on scientific topics and is sought by top news organizations for his expertise in climate predictions, and geoengineering studies—theoretical techniques proposed by some to intentionally manipulate the atmosphere in hopes of counteracting global warming. In 2013 he received the Climate Modeling Distinguished Achievement Award for his life-long work contributing to the development of the Community Earth System Model. Rasch is also a member of the Steering Committee of the Community Earth System Model, and the ACME leadership team and council. ACME (Accelerated Climate Modeling for Energy) is the Department of Energy's project to design a next-generation fully-coupled, state-of-the-science Earth system model for scientific and energy applications. Eos, the Transactions of the AGU, is the online e-zine for the society, delivering news and views concerning all topics in the geosciences—Earth and space-disciplines. The publication has distributed information about AGU's meetings and discipline-specific news to members since 1920. Eos is freely available from the website to all who are interested. In one sentence: Pacific Northwest National Laboratory's Dr. Phil Rasch was selected as advisor for the Eos Editorial Advisory Board.